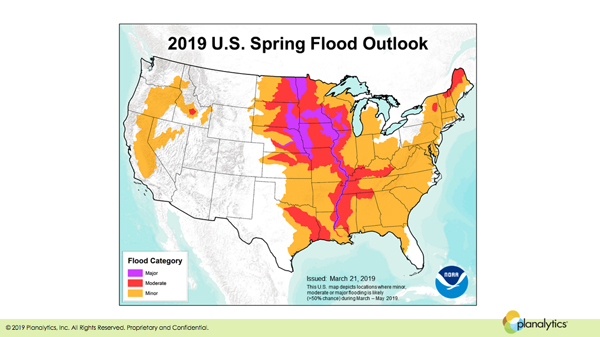 By the time NOAA published their 2019 U.S. Spring Flood Outlook on March 21st, reports of major flooding along the Upper Missouri River in Nebraska and Iowa had already made the national news. 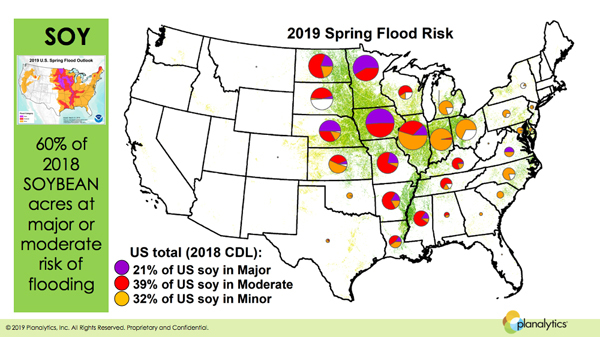 Planalytics, a Business Weather Intelligence firm based outside Philadelphia, recently reported on the convergence of conditions that led to what has already been described as the worst flooding disaster ever to hit the region. 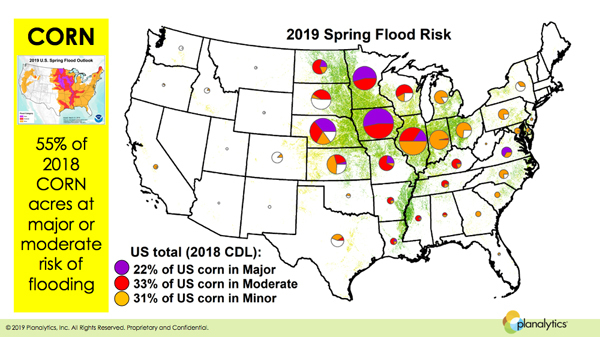 Using NOAA Flood Outlook Map and USDA’s 2018 Corn and Soybean Land Cover Maps as reference, Planalytics estimates that 55% of U.S. corn acres and 60% of soybean acres are at risk of either major or moderate flooding this spring.